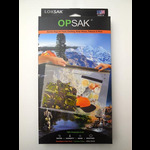 OPSAK bags are an enhanced aLOKSAK, as they are not just waterproof but also odour and vapour proof. Going camping? 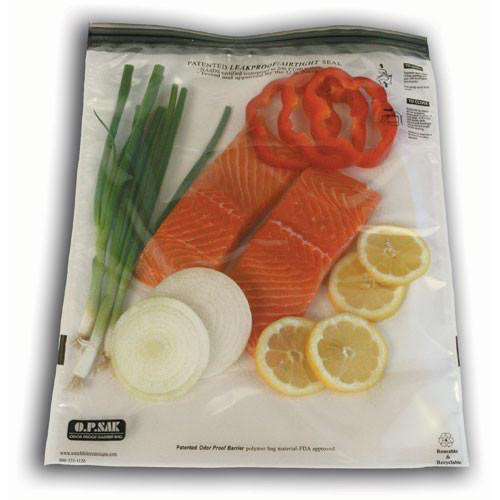 Well, you will sleep peacefully knowing your food is stored in “wombat-proof”, state of the art storage bags. 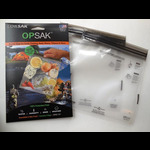 OPSAK is the cutting edge product in a class of its own—Why?—it allows you to enjoy your camping experience rather than worry about attracting wildlife that would normally smell the odours from traditional storage containers. Need to take it a step further? They can also be used to pack out body waste. 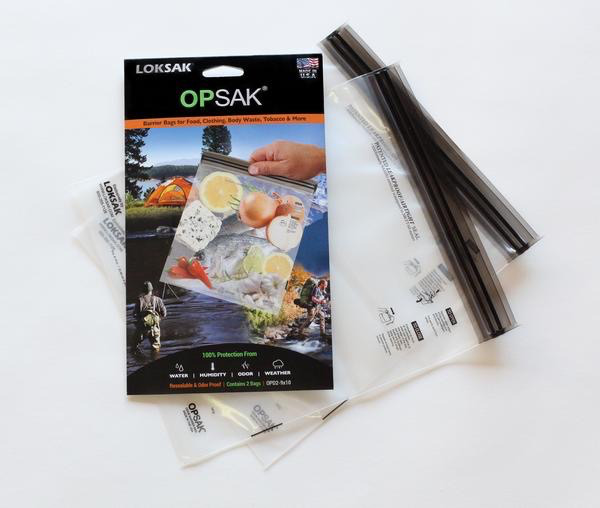 OPSAK bags are re-sealable and proven to be odour-proof. Whether you are camping, traveling with a baby or adventure racing, these light-weight storage bags will make for a safer, more pleasurable journey. Traps odours inside the re-sealable lightweight bag. Safe materials excellent for long term biohazard storage. Tensile strength: ASTM Method D-882 typical value MD: 3,720 PSI / TD: 2,630 PSI. 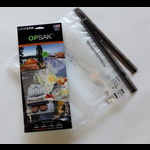 Add boiling water to the OPSAK to rehydrate food. No BPA or use of any harsh chemicals. 5 mil patented film technology with barrier and odour-proofing capabilities. Inner dimensions 22.54 x 25.08 cm.